Well, Day 1 has arrived and we're off to a great start. We had a wonderful service this morning and I'm hearing many testimonies of how God is calling individuals to spiritual alignment with Him and His purposes. I hope you'll continue sharing testimonies with me over these next 21 days. You can leave a comment here or email me directly. I love hearing what God is doing in your life! Scripture teaches that no one can see God as He really is and live to talk about it. God has revealed parts of Himself to various Bible characters, Abraham, Moses, Elijah, etc, but none of them could see the fullness of God. But God longs to be known and experienced, especially by His crowning creation. So He explains all that He is through Jesus. According to Hebrews 1:3, Jesus is the "exact representation" of God's nature. Everything we need to know about God, we learn through Jesus. As we journey through the book of John together, we're going to learn all sorts of neat things about the Father, as taught to us by the Son. 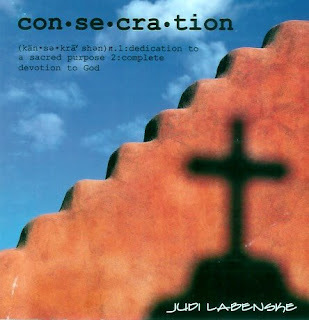 I'm excited that you're on this Journey of Consecration with me. One thing you might want to do is visit the Awakening website for a daily devotional from John. You can find the devotionals at http://www.awake21.org/category/daily-devotional/ - I think you'll be blessed. And remember to let me know what God is doing in your life! I look forward to hearing from you!